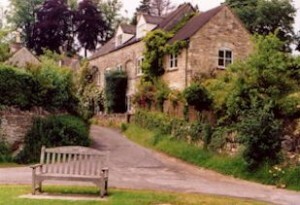 Welcome to the website of Box Village in Gloucestershire – a small, picturesque village situated close to the market town of Minchinhampton. Box was first documented in the 14th century as “La Boite” (The Box). Its population slowly grew but in the 1800s Box became a crowded village due to massive growth in the local weaving industry. 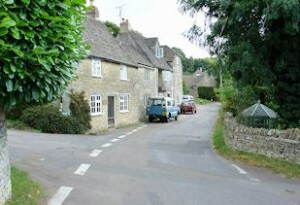 Since the decline of local weaving Box has gradually settled to a population of approximately 300 residents in 200 houses and cottages, most built using the local Cotswold limestone. 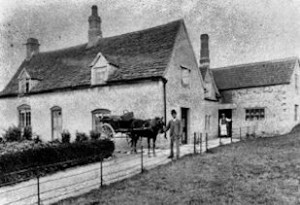 During the 19th century Box was littered with shops, pubs and even its own bakery. Like many small villages these days it no longer has any of these but it does have an attractive little church and a well appointed village hall which hosts many and varied village events, including live music performances, along with a host of village clubs and societies, all of which you can explore in the pages of this web site. 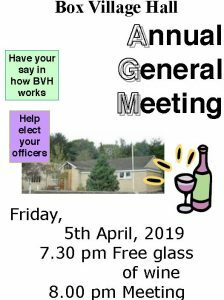 If you would like to find out everything that is planned in our Village Hall just click here. 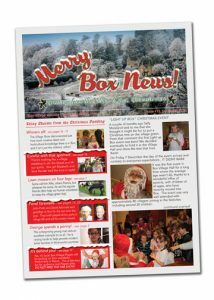 We welcome any suggested articles for Box News so if you have one you would like us to include in the next issue please send it to the Box News Features Editor. This website is designed for use by present and past residents of Box, their friends and relations, and others who would like to find out more about our community. Please use it to discover what is happening in Box and promote communications in and around the village. As you explore the web site look out for details and schedules of all the groups and organisations in Box, summaries of committee meetings of your Village Hall and of Box Village Society as well as photographs of Box dating back over 100 years, a detailed map of Box with an index of the houses and even a map to send to friends to help them find Box. 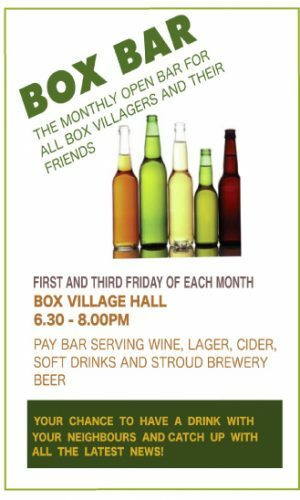 Box Village web site will be updated frequently featuring, on this HOME page, all forthcoming events in and around the village. Box Village is proud to have gained the support for our new web site from a number of local companies. Please offer these advertisers your custom and tell them that you saw their advertisements on Box web site. Click on the image above for the latest news on The Purchase of Box Wood. Did you know that there are 154 gardening clubs and societies (including Box) in the Gloucestershire Federation of Gardening Societies? Click here for details.